Sea otters can spend months in the water without returning to land? Flying fish can glide for 300 ft over the water? A Praying Mantis can rotate its head 180 degrees? Become an expert on all things that swim, fly, walk, hop, slither, and crawl! In a celebration of the many animals that share our planet, this gorgeously illustrated atlas explores over 250 different animals across the seven continents. 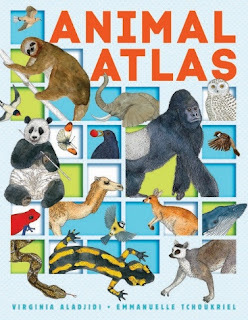 Learn where different animals live, what they eat, how they communicate, and many more fascinating facts!What I Think: The setup of Animal Atlas makes it really easy for readers to see where animals live on the Earth. The concept of the Earth being such a big place and understanding where other countries are compared to our is pretty abstract. Animal Atlas is organized so animals are presented with other animals that live near them. Readers can easily see where animals are in the world while also learning about many different animals. This book covers a range of animals, some common and others unique. This book would be a great to use when inviting students to learn about animals in a certain part of the world and could lead into further learning about animals. 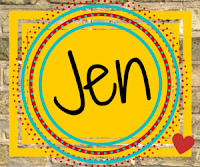 I work with a 4th grade teacher who did a focused Genius Hour where she let students pick any topic to research as long is it related to the northeast region (which is what their were studying in their SS unit). This book would be great if you want kids to think about researching animals from a certain area of the world and then encourage them to read other texts to learn more about a specific animal they chose. Writing Prompt: Can you find your favorite animal in the Animal Atlas? Incorporate what you learn about an animal in the Animal Atlas and what you read about that animal elsewhere to share what you know about that animals.